African mangoes may be prized by people looking for natural weight-loss options, but the companies providing the powder, liquid, or capsule supplements are anything but prized in the credit card processing community. 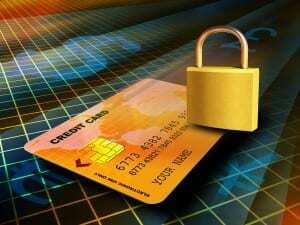 In fact, many companies who sell these products find it difficult to obtain a merchant account at all. The ones that do often do so at a high cost. This is because businesses that deal with African Mangoes and other natural weight-loss supplements fall into a “high-risk” category. Above all things, financial institutions like to avoid risk. However, without the ability to process credit cards and ACH payments, the businesses who provide these supplements can go extinct. So what is the solution? 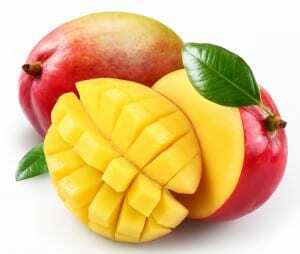 African mangoes pose no known health risks and are frequently eaten and traded in West Africa. Their nuts enter the U.S. through legal shipments and sold through the general markets. It may be surprising, then, that the businesses that deal with their processed forms are considered high-risk. However, as weight-loss supplements, they are subject to a great deal of controversy, since their efficacy is still debated amongst medical professionals. Since users may experience varying degrees of weight-loss success due to many factors, these products are subject to a high number of chargebacks. Many disreputable businesses also plague the weight-loss industry, which is subject to an above-average number of scams. Legitimate businesses are prone to high dissolution rates, since many are run as home-based startups. For all of these reasons, the industry is considered less financially-secure than many other types of businesses. Does This Mean I Cannot Get a African Mango Merchant Account? Fortunately, the industry’s reputation does not bar you from getting a merchant account. Since most African Mango supplements are sold online, this is excellent news indeed. Merchant accounts allow you to accept credit cards, debit cards, and ACH payments, so it’s essential that you not only secure an account, but one backed by a reputable company known for its excellent customer service and fair rates with no hidden fees. Even if you’ve been declined by the major merchant service providers, businesses such as E-Commerce 4 IM who specialize in high-risk businesses and who are familiar with your industry have the experience and connections you need to sell your products online. Merchant service providers use several key risk indicators to evaluate companies that specialize in African Mango products, including the length of time your company has been in business, your past credit history (including your business’ credit score), the amount of negative feedback you have received, your marketing practices (since overstated promises and deceptive marketing are a primary reason for chargebacks), and your business’ overall financial health. What Can I Do To Improve My Chances Of Obtaining An African Mango Merchant Account At A Good Rate? Maxing out your available credit hurts your credit score. This is one of the key factors credit card processing companies consider when assessing the real risk your business presents. Ideally, you should only use 10-20% of your available credit. Also, keep as much of the balance as possible on a single card. 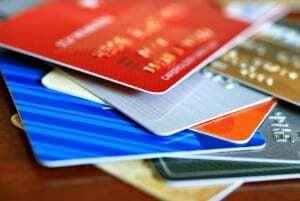 The TMF or Terminated Merchants File list is a database that identifies merchants who have had their credit card processing accounts flagged for illicit activity. These include money laundering, excessive chargebacks, fraud, identity theft, or illegal transactions. It is also accessed by Visa and American Express, so being on this list is the equivalent of being on a shared blacklist that is circulated among most major credit card companies. If you are not already on this list, keep your business dealings honest and avoid high chargeback rates to stay off. If you do end up on the list, contact your merchant services provider to find out why. Often, they can help you to fix your reputation if you are on the list erroneously. Finally, when searching for a credit card processor, you should not only consider the state of your own business, but the state of your potential service provider’s. A good provider will never charge you hidden fees and will work with you to get you started, keep you supported, and help you grow. If you’re looking for such a company, we invite you to check out E-Commerce 4 IM to see how we can help you acquire an African Mango Merchant Account.